Arvig has launched an enhanced television service making its traditional cable TV products a thing of the past. The new service, called Arvig WiFi TV, uses streaming technology to offer local channels and other favorites; and it eliminates the need for additional set-top box equipment and wires. Other enhancements include the ability to watch on almost any mobile device, making TV portable and convenient; Cloud DVR service; and programming automatically appears in the best resolution available, eliminating the need to pay for HD services. 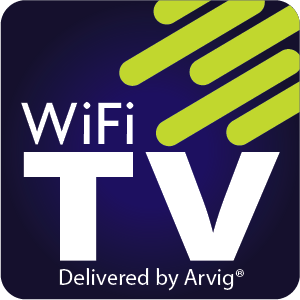 In order to obtain the best viewing and customer experience, Arvig WiFi TV operates exclusively with Arvig internet services. This enables Arvig to better serve customers by ensuring the required broadband service is available to meet the streaming needs of the individual household. Arvig is a full-service telecommunications provider, delivering cutting-edge technology to residential and business customers throughout the state of Minnesota for more than 65 years. In addition to providing internet, television and local telephone services, Arvig also provides business phone systems, business IT services, security and more. Call 888.992.7844 or visit www.arvig.com for additional information.